For as low as RM65 a day! Introducing a new media channel and a new way to communicate. 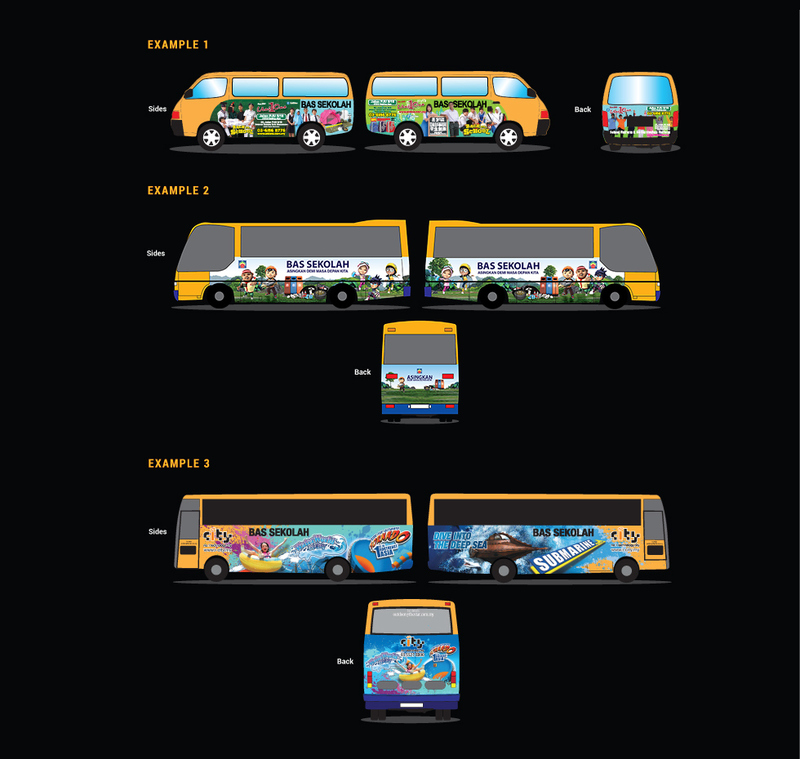 Now, you can place your brand message on school buses. With more than 15,000 school buses reaching over 5 million students in the country, School Buzz is in a class of its own. Book your space today! Zoom in on where your target audience lives. Place your ads outside the bus and reinforce your message inside. School bus advertising is an ideal platform to help marketers combat clutter in the outdoor landscape. It is a highly visible and credible medium for branding placement. School bus advertising helps bus operators earn extra income to offset the rising cost of living. Take advantage of other assets within STAR MEDIA GROUP to engage your audience, and increase your brand presence. Who's Taking the Bus to School? Our school buses travel to 7,760 primary schools and 2,394 secondary schools. That's more than 500,000 students boarding our buses with your brand message every day! Place samples of your product inside the bus, or have your promoter or mascot personally distribute your samples. During the holiday and off-peak hours, our buses can also be used to ferry other passengers for other occasions such as corporate events. In addition, we can provide editorial content support through the various media channels under STAR MEDIA GROUP. School Buzz is part of STAR MEDIA GROUP. With assets in print, digital, radio, events, training, TV and Out-of-Home, we can help give your brand the push it deserves. Reach your target audience with pinpoint accuracy. Booking deadline is two months before start of the campaign. Minimum 10 buses per campaign. Creative design to be provided by client/agency. Copy rotation is allowed once every 3 months. Additional costs apply. The visual must abide by various advertising regulations issued by relevant authorities, subject to final approval by SPAD. Additional cost applies for outstation locations. Costs are subject to 6% GST. We are constantly expanding our area of coverage, so please check with us for updates.